Did you know that March 14th is National Dietitian Day?! Well you know now! (P.S. can someone please remind my husband – I think he is 0 for 9 and counting…) Every year a day in March is dedicated to dietitians across Canada, to celebrate RDs as the trusted choice for reliable, evidence-based, food and nutrition advice. For some, the word “dietitian” might evoke images of tall skinny lady wearing a white lab coat with a tight bun in her hair, carrying a clip board with Canada’s Food Guide and a calculator to calculate a calorie-restricted diet. Ugh! Unfortunately, this is NOT what I (or any of my colleagues) do. So, to help dispel this and other myths you might hold, I have decided to highlight a few different dietitians within my community (Waterloo, Ontario) to help show you the different “hats” that dietitians wear. 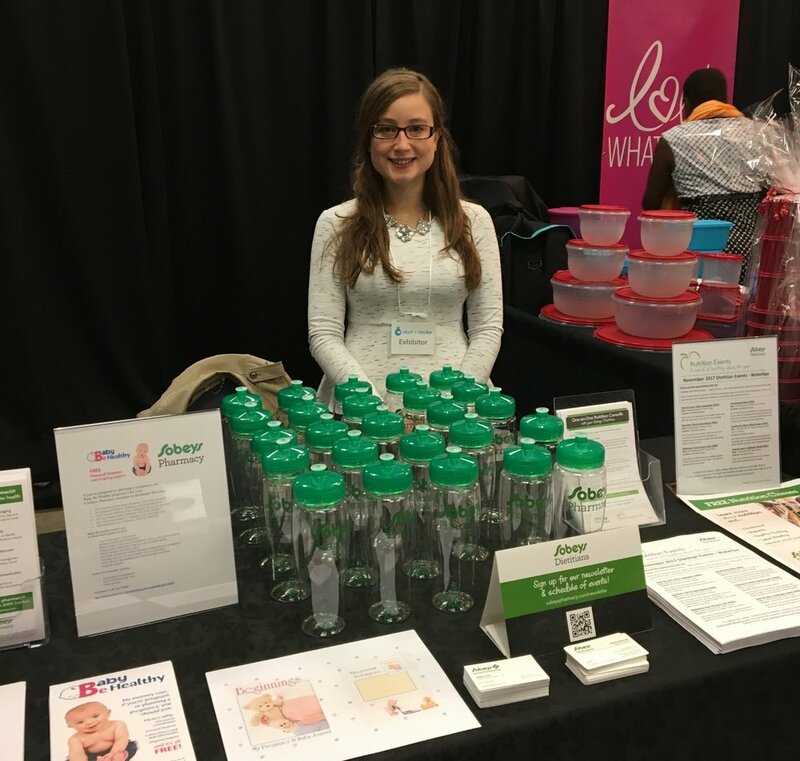 My name is Lynn Rogers and I am a Registered Dietitian and Certified Lactation Consultant with the Childbirth and Children’s Programs at Grand River Hospital. I work with pregnant women, premature infants and children of all ages to help ensure they receive optimal nutrition during important times in their lives. For those admitted into hospital, I use nutrition to support their current medical needs as well as provide education and advice for maintaining good health once home. This is especially true for premature infants who are at a susceptible period with higher medical and nutrition needs and nutrition can have a huge impact on their growth and development, both in the Neonatal Intensive Care Unit but also moving forward. In the outpatient setting, I provide a lot of nutrition education to ensure families receive evidence-based, reliable nutrition knowledge to help manage medical conditions or just improve their general nutrition well-being. Frequently I counsel families on how to manage picky eating, poor growth or excessive growth (obesity), iron deficiency anemia, food allergies or other topics. Eating together, role modeling good eating behaviours and bringing nutrition back to basics with family meals, minimizing processed and low nutrient quality foods and engaging in food exploration are common themes that get discussed, while tailoring additional information to the individual’s needs. One of the things I love most about being a Dietitian is when a parent tells me that the stress of making sure their child is eating and growing well has been relieved through the suggestions and education I have provided. My name is Julia and I am a Registered Dietitian who works as a consultant in long-term care homes. Each day of the week, I visit a different long-term care home in the community. I meet with residents, family members, and staff to develop nutrition care plans for the residents of each home. I spend a lot of time meeting with residents in the dining room during meals. I work to help prevent and manage conditions such as heart disease, diabetes, kidney disease, swallowing difficulties, and unintentional weight loss. These conditions are managed through encouraging healthy eating, altering meal plans, and discovering the resident’s food preferences. Another component of my job is working with the nutrition manager of each home to develop a 3 to 4-week menu cycle for each season of the year. Through this process of developing the menu, we try to incorporate many of the resident’s favourite meals while promoting healthy eating. For many residents of the long-term care homes, food is a very important element of their life. Many residents have that one favourite meal from their childhood. It is always fun to see how we can incorporate the desires of the residents into their meal plans. Promoting a well-balanced meal plan helps to fuel the body as well as prevent and manage chronic health conditions which are sometimes developed with age. My favourite part of being a consulting dietitian in long-term care, is meeting with residents. They always have interesting stories to share about their lives. I love being involved at meal times and talking with the residents about their favourite foods. Although many of the residents have different cultural backgrounds, a love of food is one thing we all have in common. I’m a grocery store dietitian working at two Sobeys locations in Waterloo. Every day is different in my role! I usually teach a few classes per week – some classes are for private groups, but most are free classes for the public. I also offer individual consults at the Pharmacy. Some days you might find me at a booth on the floor, serving up a healthy recipe and offering nutrition tips to shoppers. There is a lot of behind the scenes work as well – planning classes, answering emails, posting to the Sobeys Dietitians social media accounts, meetings, etc. As a part of Sobeys Pharmacy, I use nutrition to help heal. Sobeys Dietitians largely focus on offering classes to manage and prevent chronic conditions such as diabetes, high blood pressure, and high cholesterol. I love getting to teach nutrition through food and help customers discover healthy recipes that taste delicious! I also feel it’s important to try to simplify nutrition for people. Customers come to me so jumbled from all the mixed messages about nutrition in the media. I like to try to resolve that confusion for people and take the fear out of food! Hi! My name is Cara and I’ve been a Registered Dietitian for 11 years. Most of that time has been working in primary care, in a family health team setting. Family Health Teams were started in 2005 and provide an inter-disciplinary team to work alongside family physicians to provide more comprehensive care to their patients. Currently, I work part-time at the Guelph Family Health Team. Day to day I mostly see patients one-on-one for individual nutrition counselling. Patients are referred to me for a variety of different reasons including: digestive and gastrointestinal disorders like Irritable Bowel Syndrome, food intolerances, and Inflammatory Bowel Disease; chronic diseases such as Diabetes and Pre-diabetes, high cholesterol, and high blood pressure; older adults with dementia and at risk for malnutrition; pediatrics such as picky eaters, and kids that have food allergies or intolerances, and the list goes on. One of the reasons I enjoy primary care is the variety in my work. Alongside my work at the family health team, I also have an interest in sport nutrition. Since graduating as a Dietitian, I have run a private practice with a focus on sport nutrition, based out of Grand River Sport Medicine. In this role, I work with athletes of all different types of sports and levels to help them optimize their diet for sport performance. I also work with a variety of teams, clubs, and organizations in the Waterloo Region and the GTA to provide group presentations, education, and support for their athlete’s nutrition needs. To round out my week, I also teach a sport nutrition course in the Fitness and Health Promotion program at Humber College. I love diversity in my work and doing different things each and every day, which is one of the things I appreciate the most about the field of dietetics. As a dietitian working in private practice (previously from a clinical/hospital role), I have come to appreciate the diversity of work and many different opportunities that exist within dietetics. I enjoy wearing many different 'hats'! Things that you can find me doing include: one-on-one counselling sessions, corporate workshops, education seminars for dietitians and health care professionals, blog writing, media segments for CTV and some sponsored work. I love to bust nutrition myths and equip people with the tools they need to help make the healthy choice the easy choice in their lives. The impact that nutrition has on one’s life is profound and this starts at pre-conception. That is why I really enjoy working in the early stages of the lifecycle to provide prenatal, postnatal, pediatric and family-based nutrition services to equip moms, dads, and children with the tools they need to eat well to fuel their lives and avoid disease. Women's health and mental health and nutrition are also growing areas of interest in my practice. My passion for public speaking and teaching is fully satisfied when I am able to share my top 10 tips for healthy living with a workplace group, speak to a group of high school students about my career, educate the CTV Kitchener-Waterloo viewers about nutrition topics or speak to a small group of moms on how to establish healthy eating habits in children. The opportunities are literally without borders in this field, especially as the public seeks to discover more about nutrition, we are sure to see more unique roles open for dietitians. 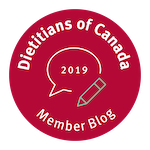 If you're interested in learning more about dietitians, two great places to start are at Dietitians Of Canada and the College of Dietitians of Ontario. As always, feel free to contact me!